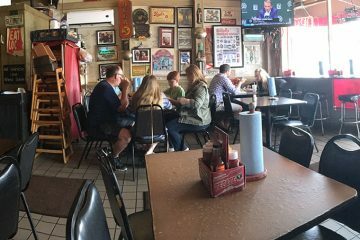 Everyone knows Panama City Beach as the “Redneck Riviera” and the strip is as commercialized as any section of beach anywhere in the United States. 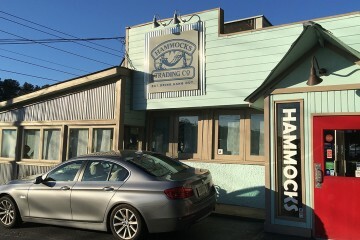 The epitome of this tourist trap can be embodied in a place called Hammerhead Fred’s. 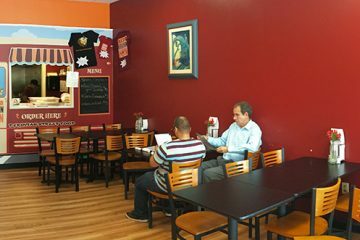 While I expected little but a great experience here, I was really pleased we came here as our first stop for a proper meal on our road trip. There’s live music here every night, but unfortunately on the night we came, it was karaoke. Now I know that some of our readers have addressed this with me before and they tell me that they are the exception to our rule that most karaoke singers butcher the songs we know and love. Hence, our decision to eat inside. There is a huge covered patio area outside and I can only imagine what sort of shenanigans take place here during Spring Break. 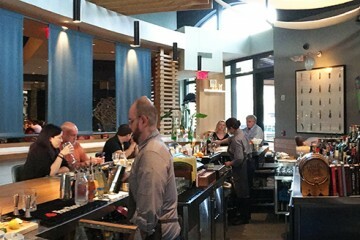 Our server was really cool and we immediately hit it off with her and she soon had us fixed up. 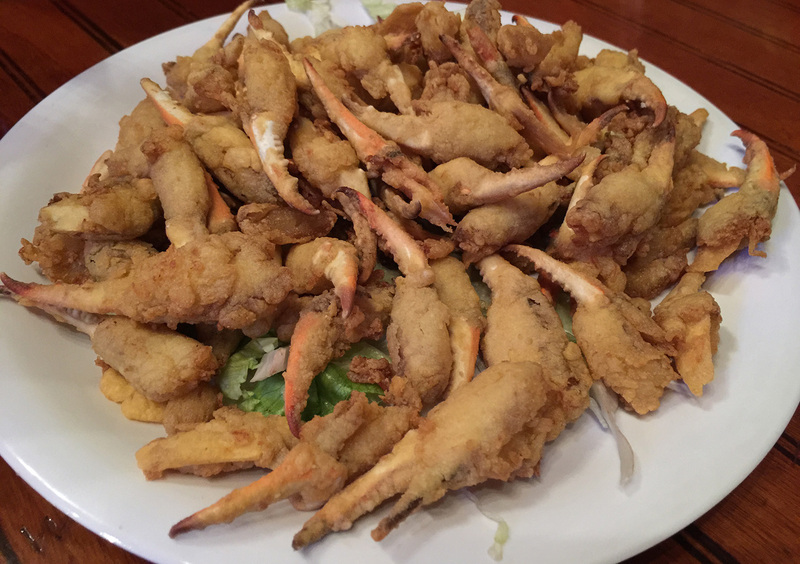 We started out with an appetizer of Blue Crab Claws. The claws are tiny and the meat on them is even smaller but there are enough in there with ample meat on them to make it worthwhile and the sheer volume of them makes it a decent appetizer. I liked the remoulade sauce but Melanie got some tartar sauce to go with them instead and that worked for her. After perusing the menu (front/back), Melanie chose the Shrimp Dinner and I went with the Shrimp Casino. We both wanted to start with a salad. The House Salad was just simple iceberg lettuce but the fresh diced tomatoes, cucumbers and onions made this a special treat when combined with the rich, thick dressings that accompanied them. We were also happy that we were given plenty of time to enjoy the Blue Crab Claws and our salads before our entrées arrived. Melanie got her Shrimp Dinner grilled and received 2 skewers of 8 grilled shrimp each which we both thought was a generous portion. My Shrimp Casino had just half that number but I found it to be filling and very tasty. 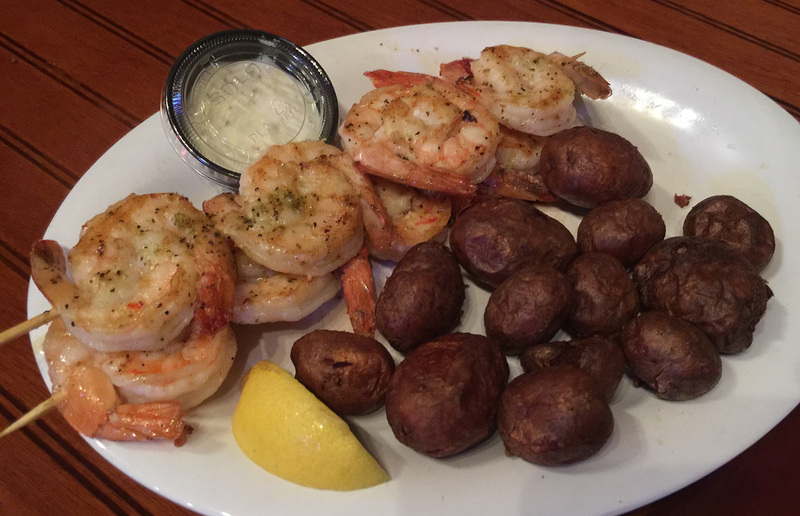 Our shrimp was done perfectly and the size of the shrimp were larger than each of us had expected. My Shrimp Casino consisted of grilled shrimp wrapped in bacon with and then stuffed with cream cheese and Blue Crab. 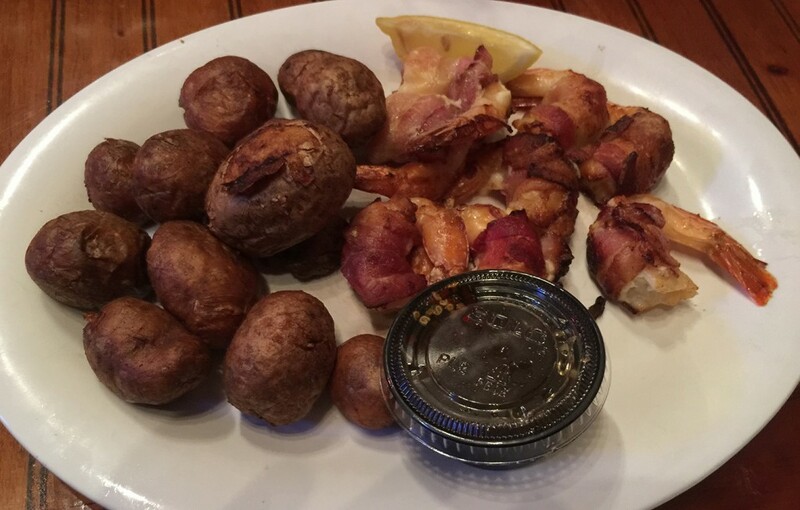 In all of the times I have had bacon-wrapped shrimp, I have never seen the bacon adhere so well to the shrimp. The Blue Crab that was supposed to have been stuffed into the shrimp, must have been mixed with the cream cheese because it was almost indiscernible although I could definitely taste the flavor of the crab in this dish. We both chose the Baby Bakers which are these very small baked potatoes. The interesting thing was how soft, almost mushy, they were on the inside. They reminded me very much of the fries at Venkman’s that are blanched and then frozen. That isn’t the case here at Hammerhead Fred’s where the Baby Bakers are actually steamed in a pressure cooker and the extra time it takes to do this is a big payoff. The potatoes come out piping hot and are truly delicious. 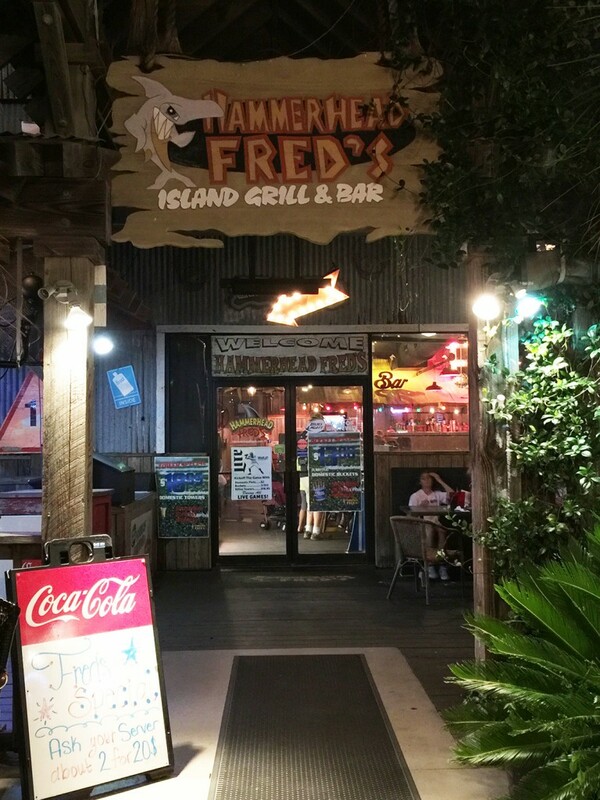 Hammerhead Fred’s is a casual, laid back place that is right at the heart of the PCB strip. Off- season the place is fantastic – I can only think that spring and summer this place must be a mad house! 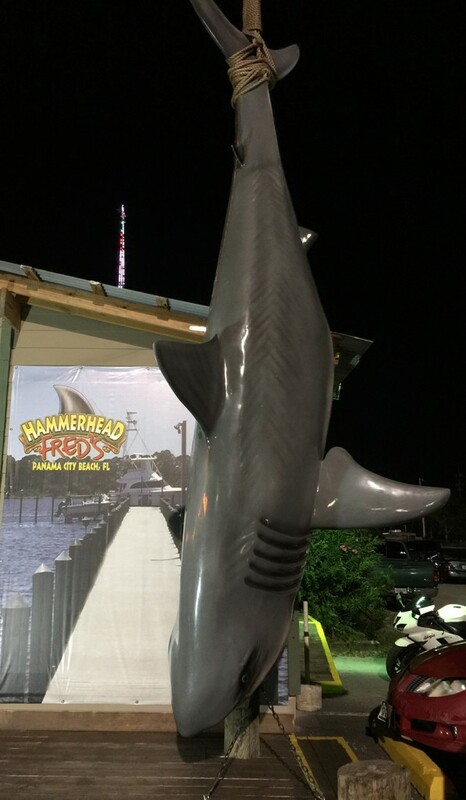 No matter what time of year you come to Panama City Beach, we think Hammerhead Fred’s is a must-visit place in our book! Guten appetit! 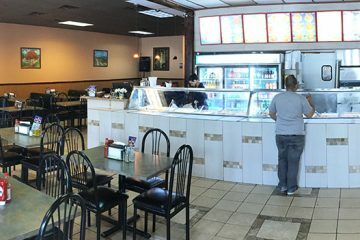 OLD SCHOOL RESTAURANTS. THERE ARE WONDERFUL NEWER PLACES THAN THESE.